Welcome to Sherwood Forest Resort, the perfect wilderness escape from the hustle and bustle of everyday life. Sherwood Forest Resort is in Pigeon Forge, Tennessee just miles from all the downtown attractions. 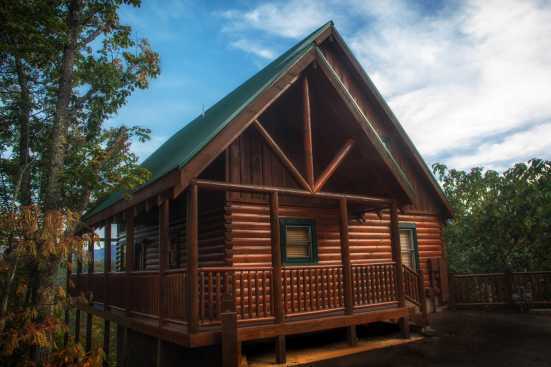 The cabins at Sherwood are laid out on a beautiful ridgeline line that offers some of the best views of the Smoky Mountains while also keeping you in close proximity to all the action in downtown Pigeon Forge. Sherwood Forest Resort offers some of the best nature views available in Pigeon Forge Tennessee. The resort area also boasts several hiking trails. As Fall approaches and the leaves begin to change consider snapping a few pictures of what is considered some of the most beautiful forestry in The United States. After exploring the wilderness and hiking trails for a few days consider setting aside a day and heading into downtown Pigeon Forge for a day of shopping and exploration. If your trip is family driven, head into Dollywood and enjoy the many award-winning roller coasters, as well a variety of rotating live performances throughout the day. SmokyMountainsByOwners.com is the only place you'll go look to plan and book your Eastern Tennessee vacation. Smbyo.com takes the guesswork out planning and booking your Pigeon Forge vacation so you are relaxed long before your feet hit the forest. Book now and we'll see you in the Smokies!